Raise your hand if you have a pet or have ever had a pet in your life or if you know someone who has a pet. You’re all raising your hands aren’t you? Of course, most of us have at least had a goldfish at sometime in our lives! Pets enhance our lives so much. 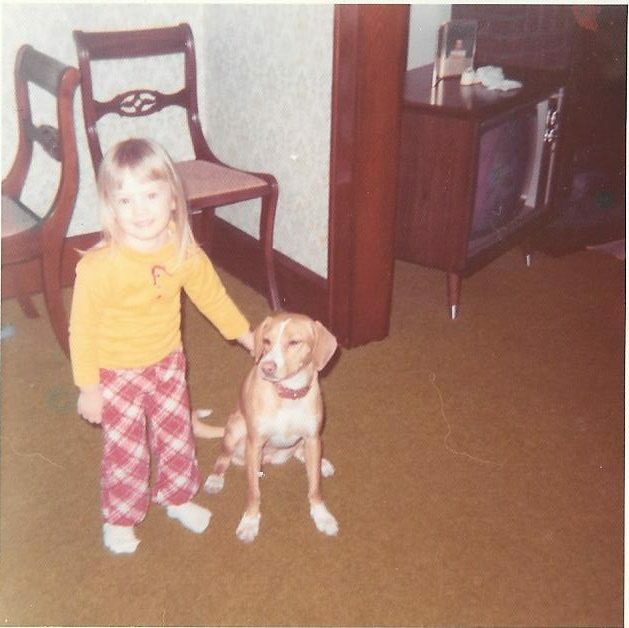 The only time I was ever without a pet was when I was first married and living in an apartment. It was rough, let me tell you! 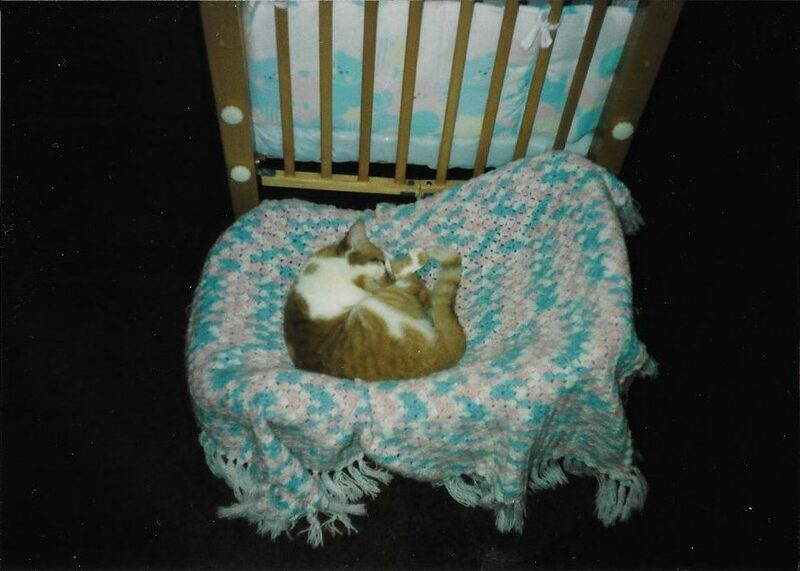 As soon as we bought our first house, we “inherited” Punkin, who was a stray who turned up at my mom and dad’s house and proceeded to have two sets of kittens! For National Pet Day, I thought I’d share some pictures of the pets I’ve had over the years. Forgive the photo quality! They’re all scans! 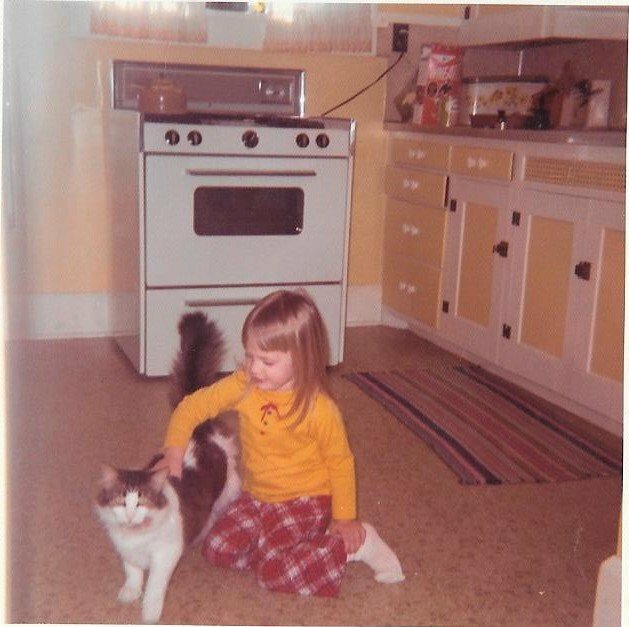 I had several more cats than are shown in these pictures. We had Mitten after Windy, but she didn’t like the litter box. She didn’t stay with us long. Then we got Shadow who only lived until he was 4 because he got cancer. Then we had Velvet and Whiskers. 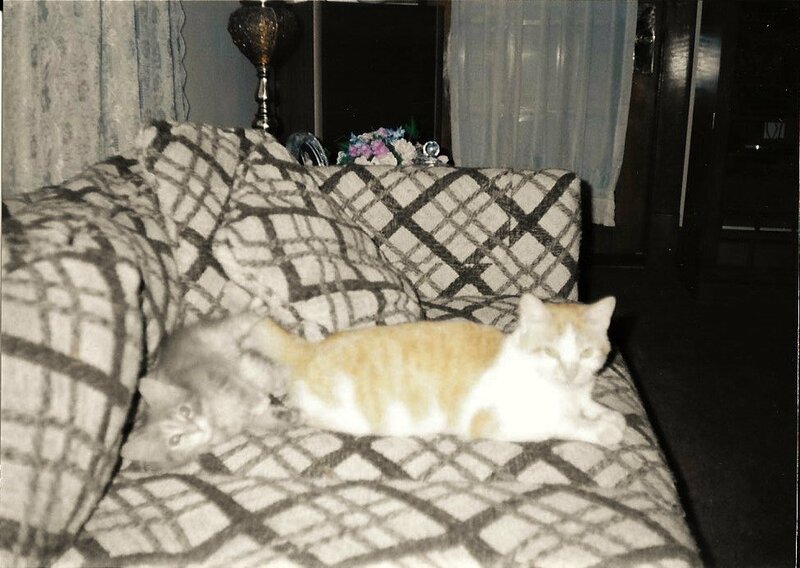 They were sisters who had good long lives and lived until around the time Punkin and her kittens came along. This is Windy. 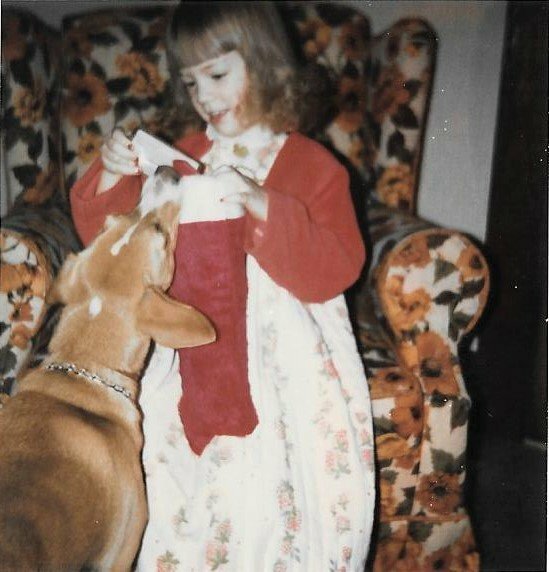 My parents had her before I was born, but I remember her. She was a sweet kitty who loved to be outside in the garden and inside getting snuggles. These pictures are of Spicy. We got her when she was about a year old, and we had her until she was 16. She ran away, and we think she ran away to die. I was devastated. I cried for days! I hated not knowing what happened to her, but I was blessed to have her for so long. This is Boots! We got her after Spicy had been gone several weeks. 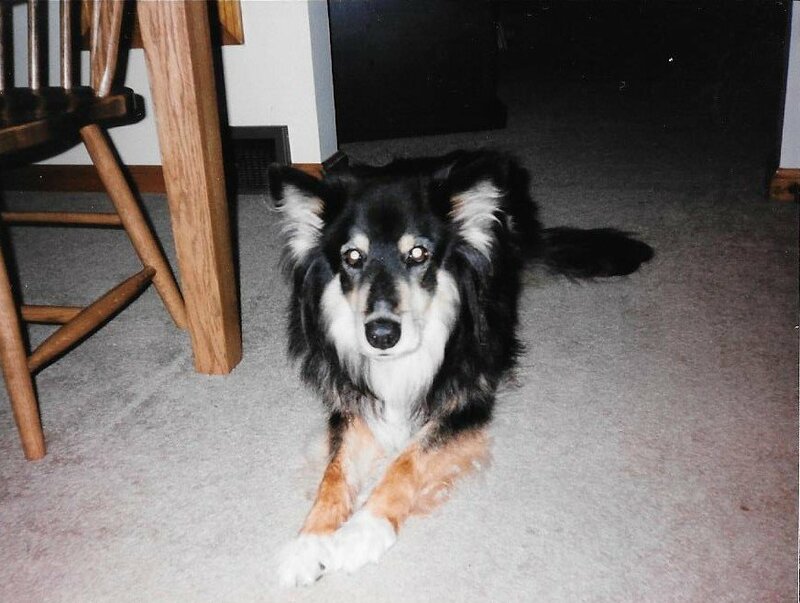 She was my 10th grade history teacher’s dog, and she couldn’t keep her. Boots lived a great, spoiled life! When we got her, Velvet and Whiskers practically ran up the walls and then hid in the bathroom sink! They were not thrilled. Boots had a stroke when I was already married. I came home to say goodbye to her. It was so hard, but animals are so worth the heartache. 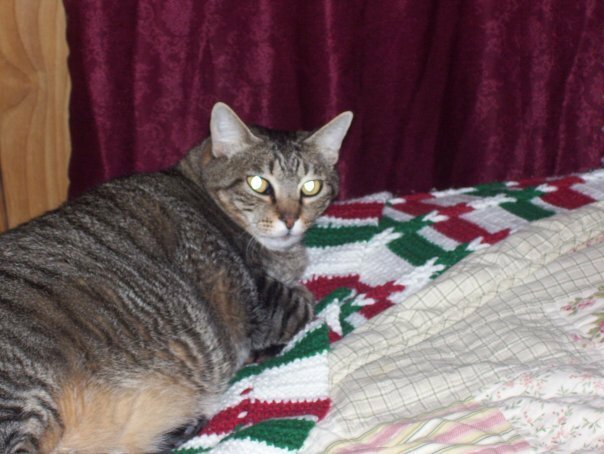 This is Punkin, the kitty who had the two sets of kittens at my parents’ house before we took her in. They wanted to get her fixed before her second set, but she was still nursing her other babies…loose mama! This is Precious. 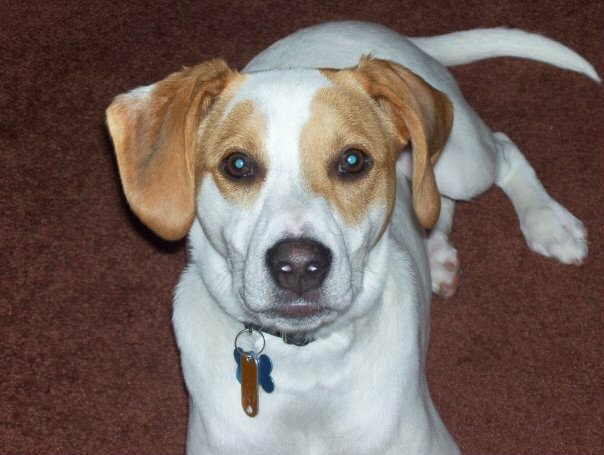 We got her when she was four months old as a companion for Punkin. I figured Punkin was missing her babies, so she’d take right to Precious! Nope. She hated her at first! I cried and cried. I happened to be a couple months pregnant at the time and hormonal….I didn’t know it at the time! 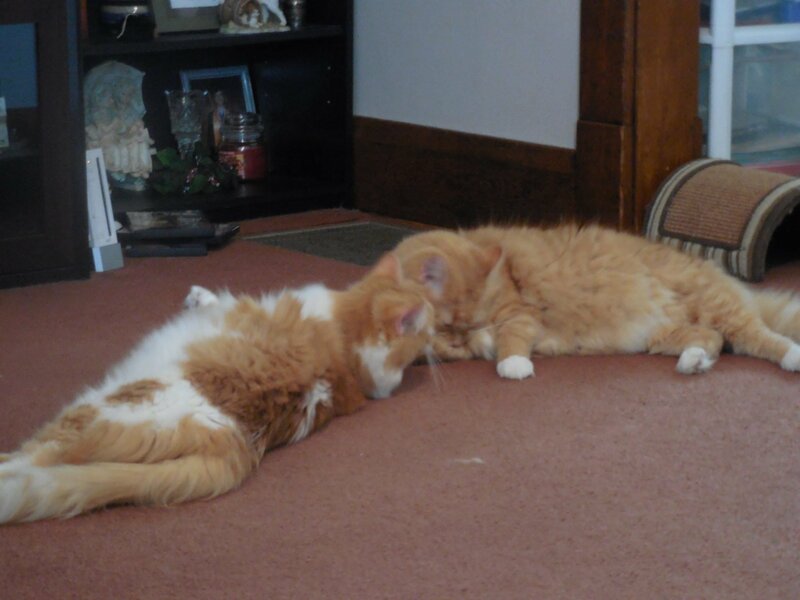 After a couple of weeks they warmed up to each other. I feel seriously ancient looking at these! This was 1994 because my daughter was born in November of that year. Oh how time flies, and oh how photography has improved! We got Tiger shortly after Punkin died. He was such a lover! We got him at the humane society. His owner had passed away, and I just couldn’t pass him up! He was such a sweetheart. He lived until 2014. 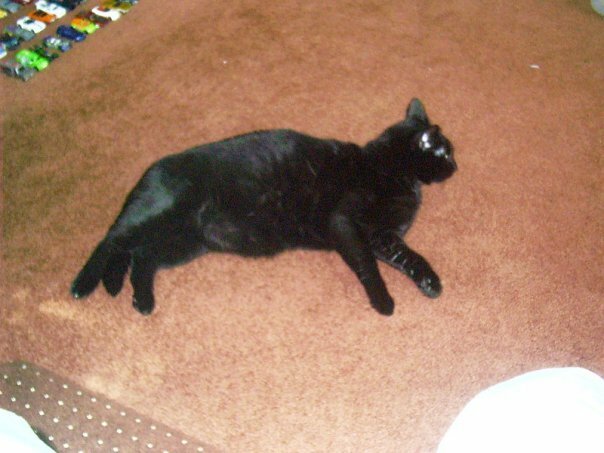 This is Midnight in his younger days. He was a stray and has been with us a long time. I thought he was going to die last year, but he made it through. I think we have a couple more years with him if he doesn’t get worse. He’s my son’s baby for sure. He always sleeps on Kyle and doesn’t sleep on Molly or me! And then, we got Toby! 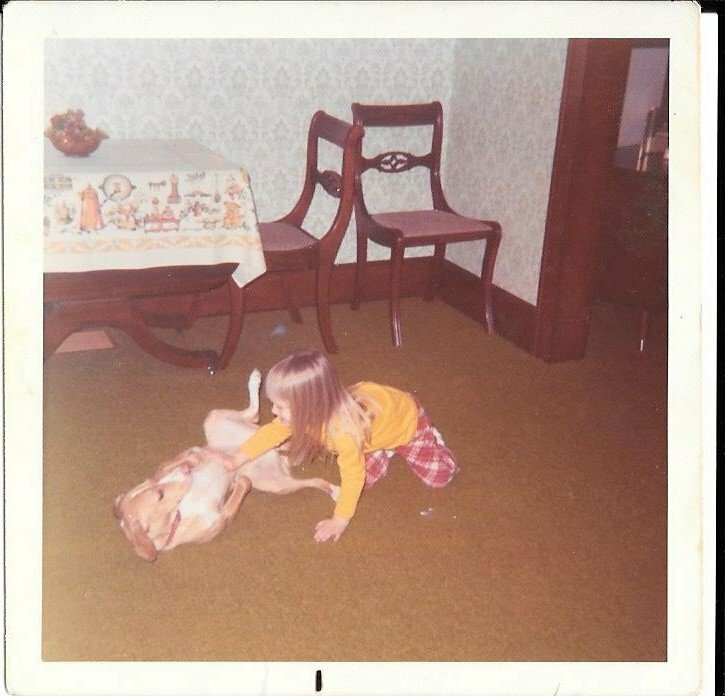 I wanted a dog for a long time, but Kevin, my late husband, said wait until we got a bigger yard. Well, we never moved, so I said we were getting a dog! This was when he was a year old. He is 8 now. I love this crazy dog! 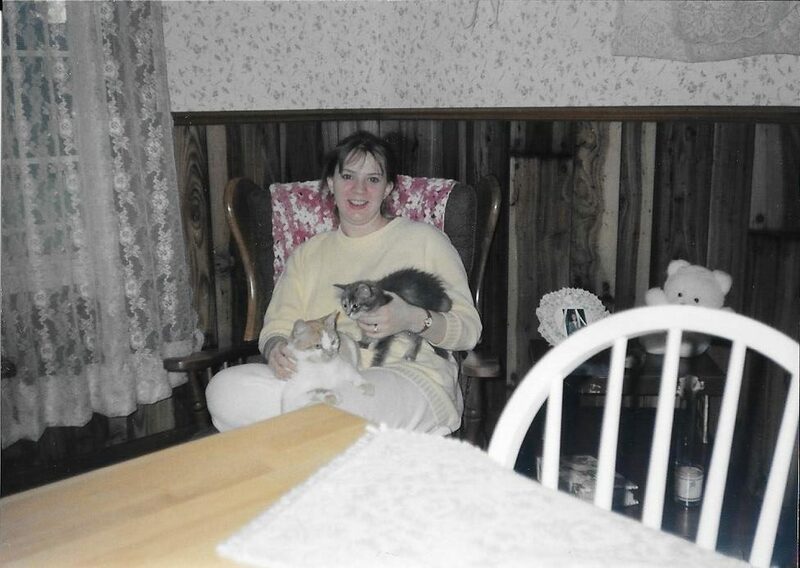 After I lost my husband, I knew I needed some kittens to love. We got these guys. And here we have the babies, Sammy and Indy. They are 3 now and we got them when they were about 10 weeks old. They’re so fluffy! I’m also fostering my nephew’s girlfriend’s parents’ cat….say that three times fast. I don’t have a picture of her yet because she won’t sit still! She is the same coloring as Tiger and only has one eye, poor thing! You can see, pets play a huge part in my life! I hope I never have to be without them. Happy National Pet Day from all of us here at Christy’s Cozy Corners! If you’re thinking of getting a dog for National Pet Day, be sure to check out this fun chart created by PuppySpot. They also have some great advice and tips for dog owners! Adopt, don’t shop. Tell me about your pets! I’d love to hear about them.